The Toronto Maple Leafs re-signed defenceman Justin Holl on Tuesday to a two-year contract worth US$1.35 million, an annual average value of $675,000. TORONTO — The Toronto Maple Leafs re-signed defenceman Justin Holl on Tuesday to a two-year contract worth US$1.35 million, an annual average value of $675,000. 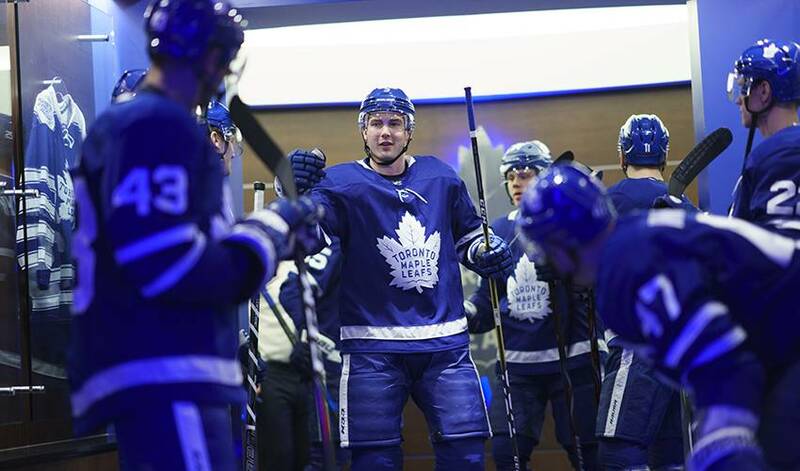 Holl made his NHL debut with the Leafs in 2017-18 and scored a goal in each of the two games he played. He recorded seven goals and 28 points with the American Hockey League's Marlies in 60 games and represented the North Division in the AHL All-Star Classic. The 26-year-old right-handed blueliner originally joined the Toronto organization in 2015 on an AHL contract before upgrading to an NHL deal in July 2016. The Chicago Blackhawks drafted the Tonka Bay, Minn., native 54th overall in 2010 but he was released and eventually scooped up by Leafs general manager Kyle Dubas, who was in charge of the Marlies at the time. Holl has played 192 games with the Marlies and has 20 goals and 68 points.